Sikkim is an incredibly beautiful state and every place in this state exudes an enigmatic grandeur. One among them is Zero Point. Husband and I were fascinated to visit this place as we were intrigued to know how it feels at the last outpost of civilization in knee deep snow. 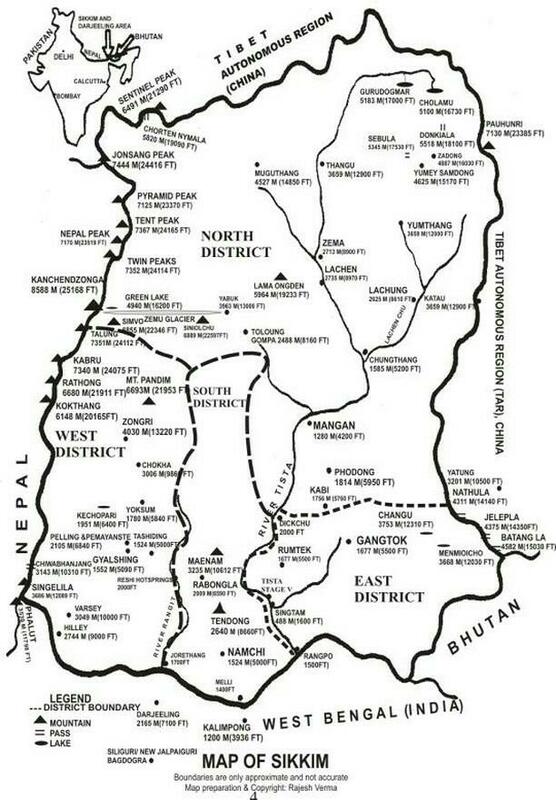 My late father-in-law had served in NEFA valley. Hence husband wanted to see a similar place where his dad was posted. Zero Point undoubtedly topped the list. A big salute to Indian Army which operates in harsh conditions, guarding the Indo-China border 24*7. A day before your visit to Zero Point or Yumesamdong, your driver/travel agent would have submitted your documents in advance, which are checked on the day of visit. 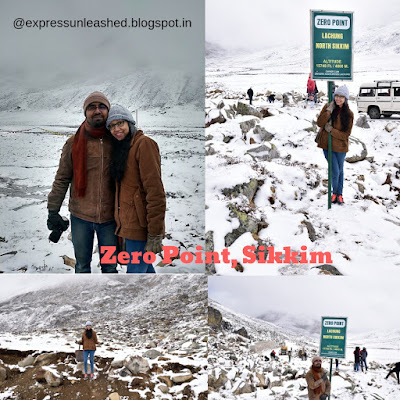 Zero Point is usually not included in North Sikkim itinerary and travel agents charge Rs 3000 extra for this trip, clubbing Yumthang Valley with it. Your homestay would provide you with packed breakfast (usually bread butter/jam) since you would have to leave early morning. 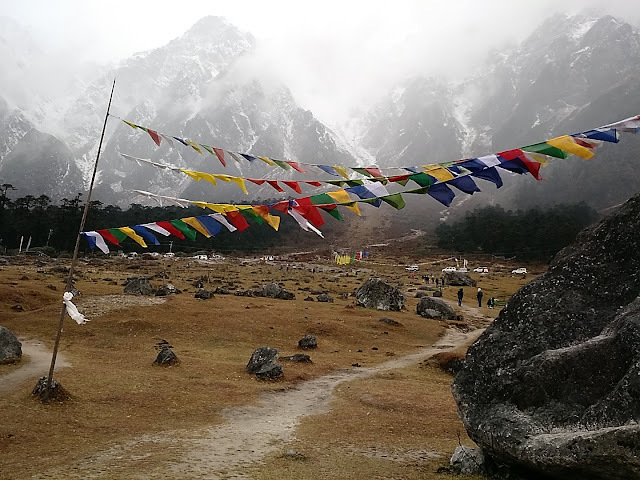 The distance from Lachung to Zero Point is 51 km and roughly 30 km from Yumthang Valley. Hilly topography, harsh weather and proximity to China perhaps made it impossible to build roads. You would experience sharp turns and jerks throughout the road journey. Nonetheless the beautiful untouched nature around makes up for painful ride. The breath-taking sight leaves you mesmerized. After all its the journey that matters. As you ascend higher, vegetation starts diminishing and rocky terrain becomes more prominent. The roads tend to get very slippery and extremely dangerous during snowfall. Ask your driver to drive slowly and very carefully on this route even when not snowing. Rash driving is not an option here. Give way to Army trucks whenever you see. Army personnel wave at passing vehicles as a gesture of wishing happy journey and making you feel good. Waving back to them is a nice gesture. On the way, don’t forget to stop at ‘Jalebi Point’ for yummy snacks which are made by Indian Army personnel. Their motto is to bring a smile to faces and not let anyone go hungry. The super bouncy ride comes to an end at the Zero Point Parking. At 15000 feet above sea level, the place is covered in snow most of the year. When it hasn’t snowed, it would be biting cold. PS.- You have to wear warm clothes and have waterproof arrangements irrespective the weather you visit in. Children below 3 years of age must not be taken here. We were at loss of words with the exhilarating beauty of the place. The Sun hid behind the greyish clouds and the chilled winds kissed our skin. 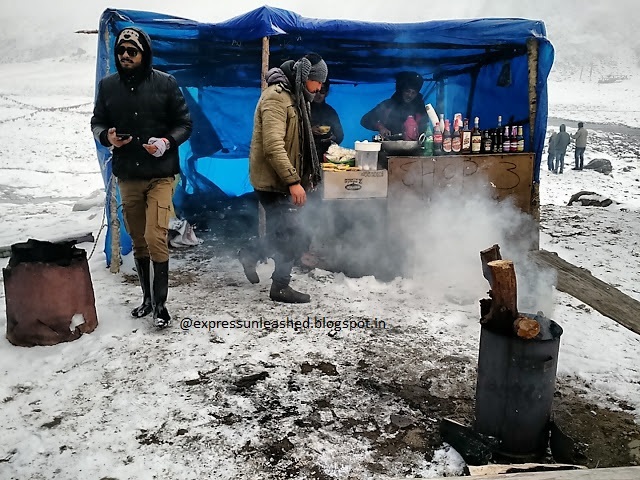 Wood-fire at a nearby tea stall made us feel colder and we pulled our jackets tighter. The white blanket of snow seemed to beckon us as our body tried to adjust in the sub-zero temperature. 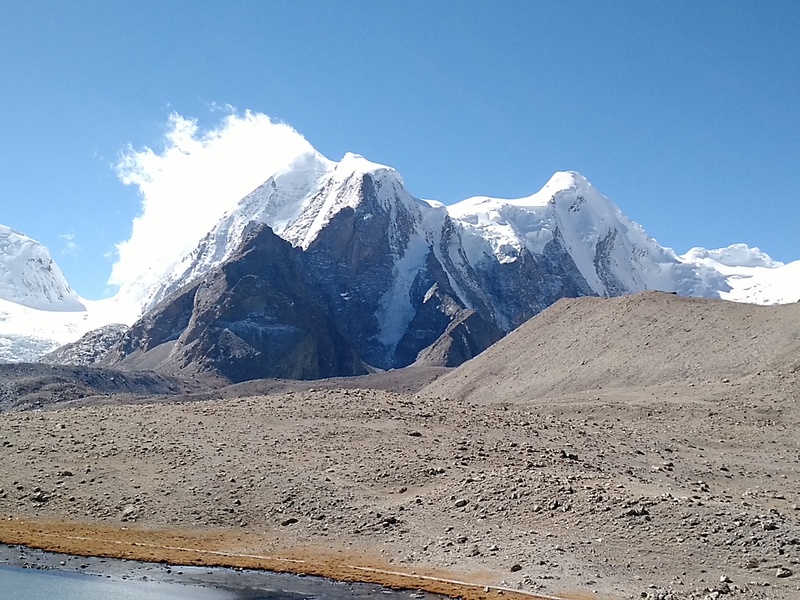 Thankfully we did not feel uneasy because oxygen level isn’t low here unlike Gurudongmar Lake. 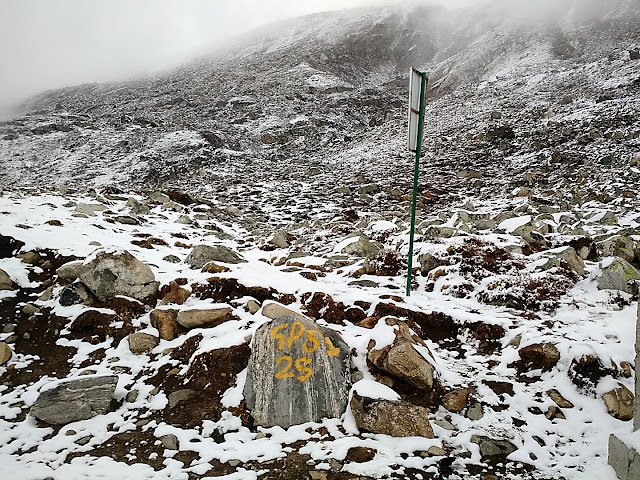 While we felt ecstatic being surrounded by snow wondering what was China doing behind those gigantic mountains, our heart went out to Indian Army that braves these challenges everyday just to keep us safe. A heart-felt thanks and grand salute to them. Enjoy hot snacks at the little shacks here, play with snow, enjoy nature at its "whitest most" and take home good memories. A usual protocol is to leave within an hour lest the parking should be full or weather conditions worsen. Avoid Zero Point during rainy season. Overall the place has nothing except for being an important landmark before China. However the exotic beauty of this place keeps you charmed. Travelling to such places often changes your perspective about life and lot of things. The distance between life and death could be a thing as small as a wrong step on the hills or slipping on the rocks. We could somehow re-live the conditions what dad had endured during his service in NEFA. Our trip to Zero Point was also in his commemoration. P.S- This trip of mine was in Oct 2018. In case you have queries on planning your trip to North Sikkim or Zero point, feel free to reach out at shilp3005@gmail.com or leave your query in comments below. 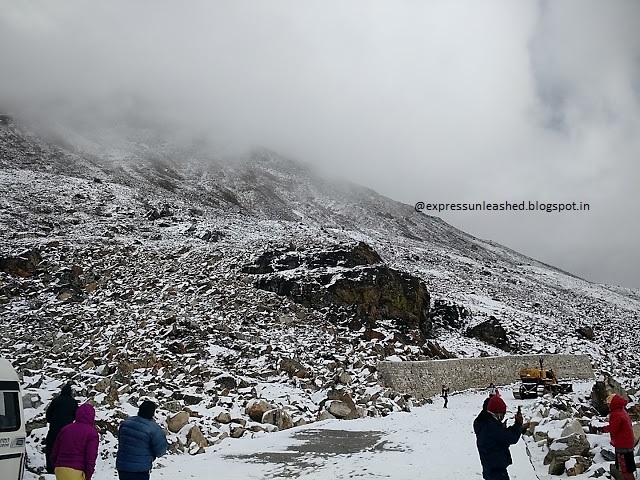 Sikkim, the jewel of North East, is a small state yet has so much to offer. 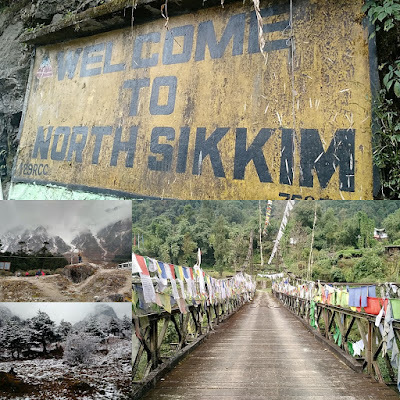 Explore more about North Sikkim and the best plan for a North Sikkim Trip. 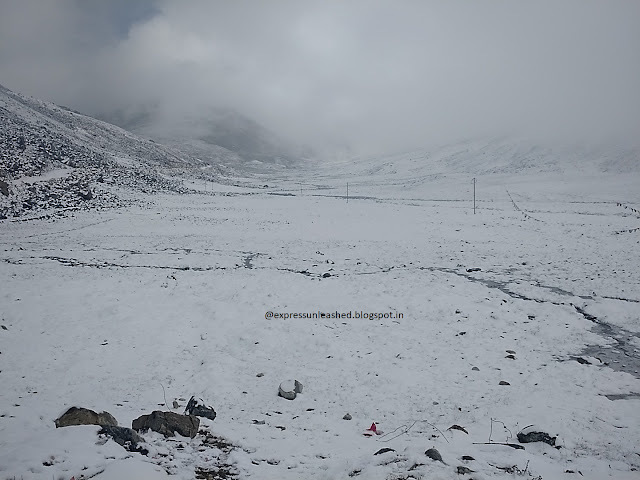 -A non resident of the state cannot travel to the northern part of Sikkim. To enter the borders of North Sikkim, you need a permit, which would be obtained by your travel agent or driver. -In case you are a biker, you have to arrange for your permits through an authorized travel agency. 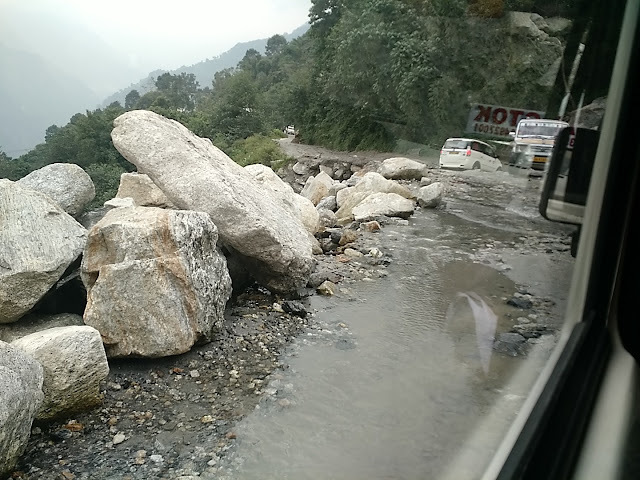 -Carrying plastic water bottles in North Sikkim is not allowed. Hence carry your own sipper or water bottles. A surprise check may lead to a penalty of Rs. 5000. -Being close to China, security threats are high and being in a rough terrain, chances of mis-happenings too are high. -In case you are traveling solo in a group package, the cost would be between 3-4k. (May go higher in peak season.) This cost includes food, accommodation and site seeing for 3 days, 2 nights. -In case you are travelling as a group/couple, the package cost would range from 19-25k for 3days 2 nights (May vary depending on the number of days and season). For your convenience, have a look at the map of Sikkim to understand the location and Geography. This is a 7-8 hours of journey by road. Narrow curvy roads with potholes and landslides in between may slow you down at times. Nevertheless the journey to a green paradise is absolutely sunning. 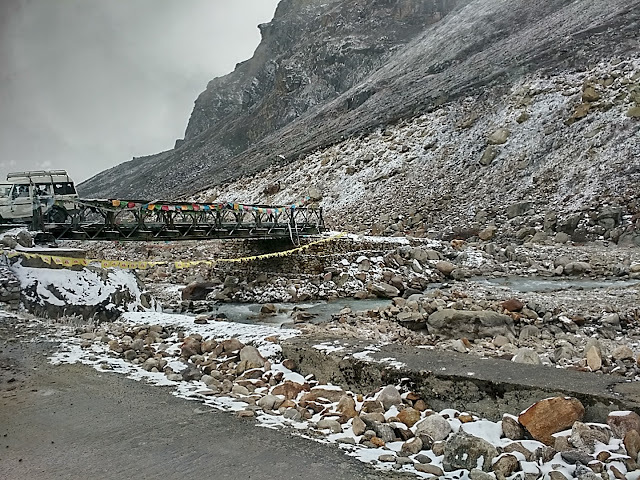 On the way you would get to see Seven Sisters Waterfall (The waterfall that falls through seven steps), Singhik Village for the view of enormous Kanchendzonga range and the gorgeous Chungthang confluence. Lachen Accomodation- Lachen speaks of many homes stays and small budget hotels. Your travel agent would have made your booking in advance. My stay was a nightmare, so I would skip talking about it. Ask your agent the name of your accommodation and search for reviews online. If you find your stay to be pathetic, call your agent and protest. An early morning drive from Lachen will take you to Gurudongmar Lake, a breathtaking fresh-water lake at an altitude of 17375Ft / 5225M. 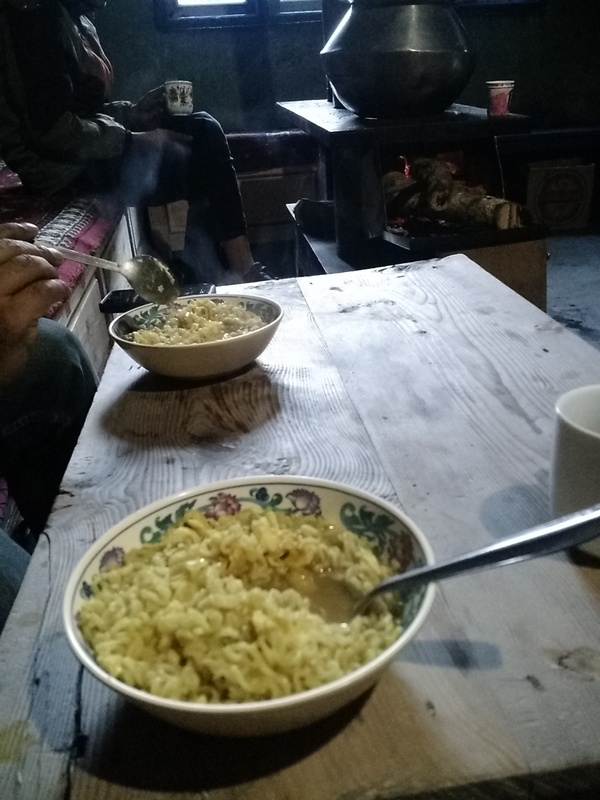 Your hotel/home stay will provide you with packed breakfast (usually bread butter jam) or make a pit stop at check post in the village where you can enjoy maggi, thupka and tea. The first check post opens at 7:00 am where your documents would be checked and approved for entry. The next stop is fifteen kilometers further where the final checking is done. Since washroom facilities are limited, advisable to get relieved wherever you stop. Same goes for eating joints. The entire journey from Lachen to Gurodongmar is bumpy and quite rugged. Only the last few kilometers before Gurodongmar is smooth. Nevertheless all the pains taken would seem worth when you look at the sparkling blue water of the beautiful lake. As the legend goes, the lake in the 15th century was blessed by the Sikh leader Guru Nanak and stopped a part of the lake from freezing in order to provide drinking water to villagers in Winters. P.S- Do not run or do strenuous activity since lack of oxygen would make you feel breathless, nausea, tired, weak. While returning from the Lake, visit Chopta Valley or Kala Pathhar for the beautiful mountains. In Feb-March Chopta Valley blooms with colorful flowers and feels like paradise. Thangu Village is the name of the settlement across the Chopta Valley. Further Kala Pathhar (the black mountain) awaits you with lush green landscape and snow in season. An early morning departure and a super-bumpy ride would leave you exhausted as you return to your hotel in Lachen for Lunch. Get some rest and depart for Lachung. (2-3 hours journey). Spend the day at leisure exploring the local culture or just letting the wind caress your face. 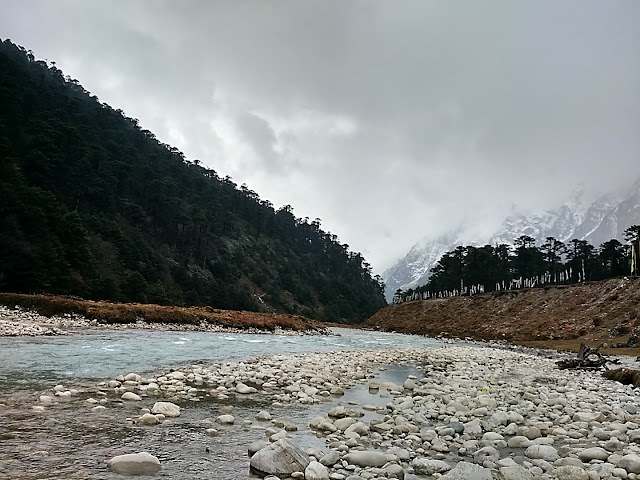 Day 3- Lachen to Zero point, Yumthang Valley, Hot Spring and back to Gangtok. Wake up early to catch the morning beauty. Leave from your hotel with your packed breakfast around 6:30 am and head to Yumthang Valley. (A 25 km stretch). The serene river flowing through the green pasture land with the snow capped mountains in the background is a view to die for. No kidding! 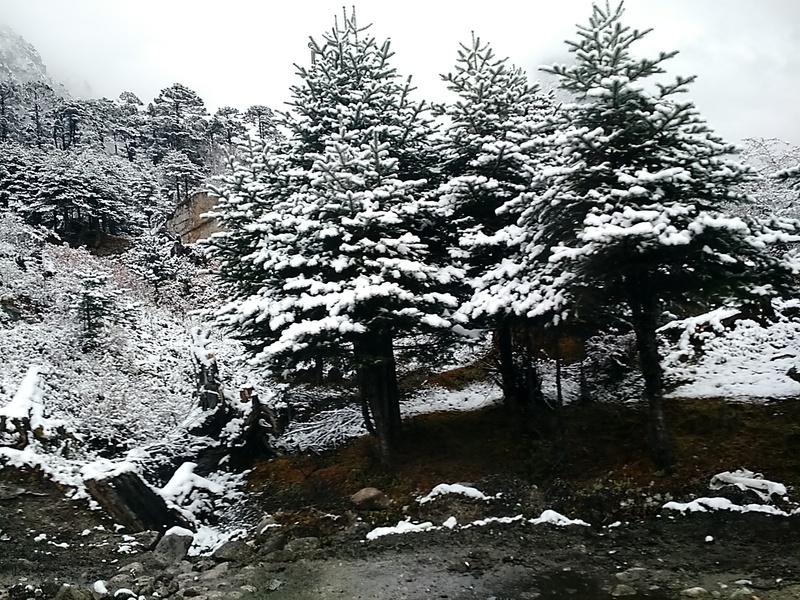 Further, the drive through Yumthang Valley seems straight out of a postcard. Throughout the beautiful journey on the curvy roads dotted with vibrant tree tops, do wave back to the army personnel and make a pit stop at the Army canteen named "Jalebi Point", for hot jalebis and samosas. 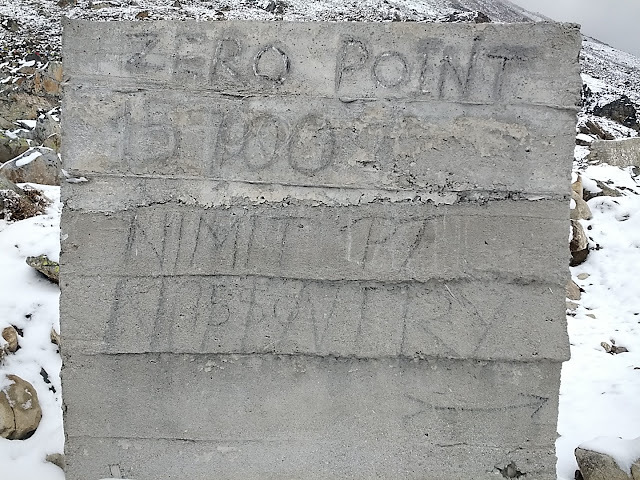 Zero Point, the last outpost before China Border offers you an out-of-the-world feeling and if lucky you might experience snowfall. It just feels amazing how you made it to the last border post of India with China on the other side. Return to Lachung for lunch. Soon after drive to Gangtok and end your memorable road trip as you check in to your hotel in Gangtok. Lachung Accommodation- There are several homstays in Lachung. 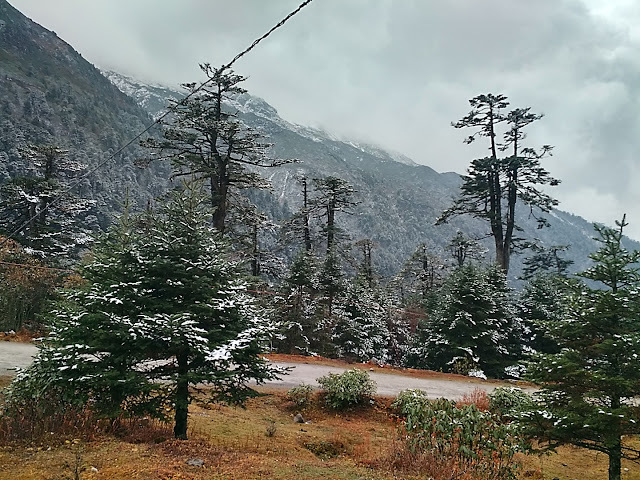 Dont expect royal hotels in this remote part of Sikkim. Homestays are cosy, neat and beautiful. We recommend Kalden Residency, run by two friendly sisters. They rooms are bright and pretty, the view from the tiny balcony opens to infinite lines of sky touching the touching the mountains and rivers. Its one amazing place to stay in. -Your package cost must include food, lodging and permissions. At any point in time should the driver ask you to pay for anything, deny. 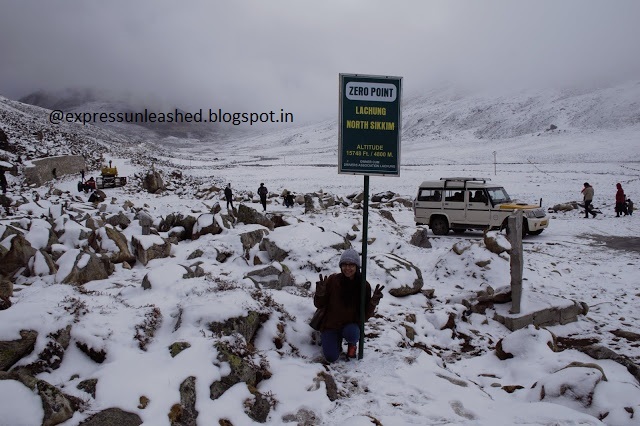 -Usually Zero Point and Kaala Pathar are not included in the itinerary and they charge Rs 3000 extra for each point. -Your package cost will not include anything extra. Not even a bottle of water. Carry your own sipper. -Shops sell products at high price (as they have to get things from Gangtok). Stock up with popcorn, dark chocolates and light snacks to beat nausea and hunger pangs. -Even in the month of May or June, the weather remains cold. -Always carry your original documents and a copy with you all the time. You might be asked to prove your identity by Army. -Do not take pictures of Army cantonments or artillery. Failing to adhere to these might get your phone/camera confiscated. Feel free to get in touch in case you have queries for North Sikkim. Would be more than happy to help. P.S- This trip of mine was in October 2018 . Also, the post made it to the top post of the day on Indiblogger homepage.